Owing to the potency of his radical roots sound and his conscientious lyrical style, singer/songwriter Edge Michael acquired, at an early age, the alias, Rebel With a Cause. Born Oral Mark Durloo – son of David Durloo and Melzeta McIntosh, herself the sister of legendary reggae superstar, Peter Tosh. 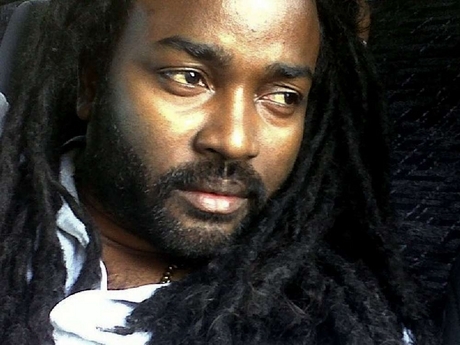 Edge Michael has embraced his fated path, from his earliest high school performances straight through to his professional recording career which started in 1990 as lead vocalist for Jah Children, Edge Michael shared stage with a host of renowned reggae artists, including Dennis Brown, Gregory Isaacs, and Sanchez. “My career has taken me across the globe and in so many towns, cities, villages, I see the need for help in so many ways. I know I cannot do it all; I am not trying to be a hero. I am simply trying to do my part in being my brother’s keeper. Life would be so much easier for us if we would each do a little to help the unfortunate amongst us…. Not only with donations but equally as important, the time – to give”.